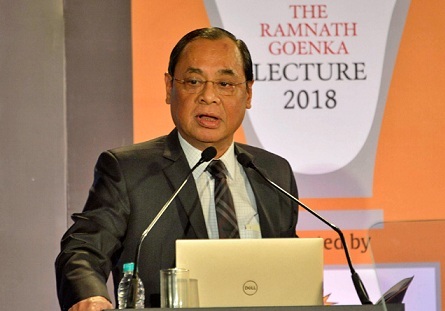 Delhi Police has lodged an FIR against an unknown persons for creating and operating a fake Twitter account in the name of the newly-appointed Chief Justice of India Ranjan Gogoi, who hails from Assam. According to a report published on Wednesday by Bar & Bench, News18 reported that the FIR was filed after the Special Cell of the Delhi Police received a number of complaints regarding the fake Twitter account. The incident first brought to the notice of the police by Additional Registrar of Security and Caretaking at the Supreme Court, Colonel GB Marwah. Col. Marwah reportedly found that the fake Twitter account not only used CJI Gogoi’s image in the profile but the operator of the account was also actively using the social media platform to publish misleading information on a number of issues. Col Marwah, who personally carried out an investigation in the matter, found the Twitter account to be fake and misleading after which he decided to file an FIR with the Special Cell of the Delhi Police. The Special Cell of the Delhi Police, after receiving the FIR, has already registered an FIR against an unknown person under various provisions of the Information Technology Act. The Delhi Police also reportedly reached out to Twitter India to get the fake account closed. As per the report, a police team has been formed to nab the accused involved in opening and operating the fake Twitter account and reportedly found that the youth, who is responsible for creating the fake account, has also created other fake accounts in the past and subsequently closed them. The accused reportedly operated from Western Uttar Pradesh. The investigation is on.